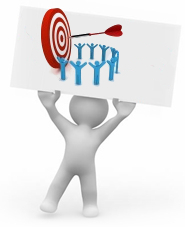 Social Media Optimization includes optimizing websites so that they will rank well on Social Media sites. There are a variety of Social Media sites, each requiring a unique optimization strategy, including Twitter, Facebook, Linkedin and others. Social media features added to the content itself include RSS feeds, News and Sharing Buttons. Social Media can be considered anything that can help build a group of people to come together over. Websites such a Facebook, Twitter, MySpace Digg and Delicious and Revver all fit into this. These are all websites that can now be used as places to promote your marketing message. Spreading messages through blogs also falls into this catagory. It is all about making something easy to spread, which, by the way, used to be called word-of-mouth. Buyer beware though, you can’t force Social Media Optimization. The idea behind this is to pull people in to receive your message and not push your message onto folks. With SEO the goals are clearly defined, you’re trying to make a website rank well in search engines but with Social Media Optimization it works a little differently.